Brief Bio from Penguin Random House. Includes author essay "On Writing Persepolis." Biographical feature from The Guardian. 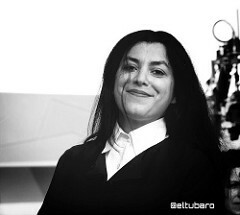 Marjane Satrapi in “Beginnings” by Chiara Clemente - NOWNESS from NOWNESS on Vimeo. The Oscar-nominated filmmaker and graphic novelist talks early beginnings in Iran.